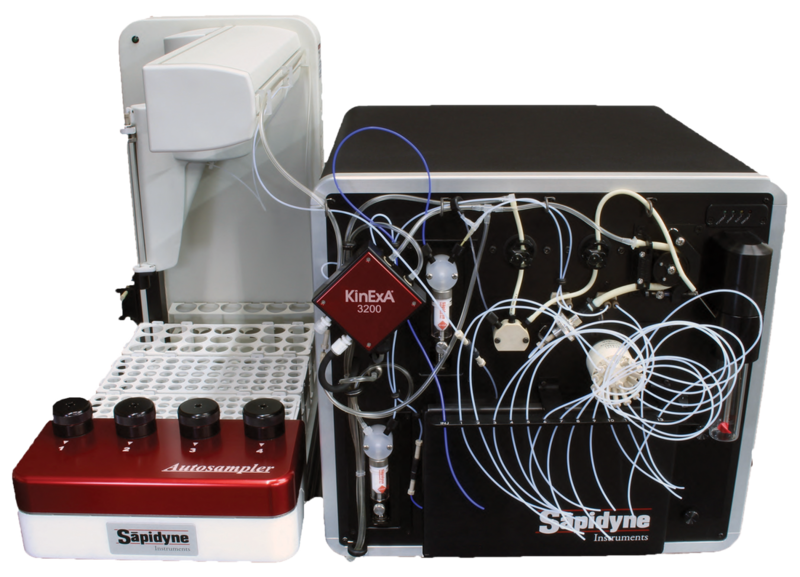 ​The Autosampler provides KinExA 3200 users increased productivity by enabling unattended operation through multiple experiments. It is a versatile and efficient addition to assist in the determination of binding characteristics. Included with Purchase Autosampler, One Year Instrument Warranty, Installation & Custom Training, GxP Supprt. Extended warranty & custom maintenance plan available. Automation Accommodates up to  distinct solid phase preparations and, in conjunction with up to 270 samples, supports lengthy periods of autonomous operation.